The title of this post is a lyric from an absolutely brilliant song on Josh Ritter’s 1999 self-titled, debut album, entitled “Stuck to You.” Aside from stating the obvious about love and Teflon, there is a story behind this particular song that might, depending on how you read it, shine an interesting light on vocational discernment. Two more verses explain that love is responsible neither for the stars that shine (leave that to fusion) nor the turning of the tides (“the net difference in the gravitational pull between the Earth and the Moon as it is acted out upon the waves” will take care of that — now imagine putting that to music). Since his love is gone, though, “stars don’t shine so bright,” and he “feel[s] washed away.” Next, in a very clever bridge, Ritter laments that things might have worked out better if he had been a mathematician and devoted his career to studying rockets. Perhaps then, after breaking all the laws of physics, he might have a chance to be reunited with his lost love. The final verse establishes (forever!) the disconnect between love and the non-stick frying pan. After describing what my children refer to as “some very complicated science,” the song ends with “Since you’re gone, I wish I’d stuck to you.” The studio version of the entire song is definitely worth a listen. From neuroscience to American history through narrative folk music? Imagine that! Even more startling, imagine a single institution — the academy and all the people who dedicate their lives to it — with the capacity to impart the intellectual infrastructure necessary for a career in neuroscience and a career as a singer/songwriter. Not to mention the hundreds (thousands?) of other options in between those bookends. At the same time and in the same place. But what about the emotional infrastructure required to discern which path is yours? I hope that we — the academy and all of us who dedicate our lives to it — are thinking about both of these capacities and how critical it is to achieve some degree of alignment between them. Who else has the patience? Who else has the time? One final note about Ritter’s whimsical song. It isn’t often that a musician lays out explicitly “To whom do I sing and why,” but Ritter’s own description adds clarity to a piece of music that might otherwise be difficult to wrap your mind around. How to tell your mom that you want to change your major (through a love song!). I will end with one simple (but hardly whimsical!) question: How would you tell your mother that you were abandoning neuroscience to pursue American history through narrative folk music? Jeff, your posts are so creative! They indicate how deeply immersed you are in the vocation literature and practice. 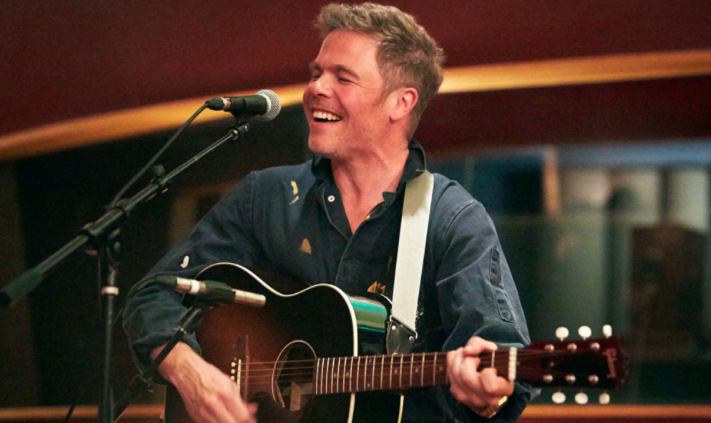 I am listening to Josh Ritter now. Thank you for introducing him to me! Thanks, Shirley, for the follow-up! I was very close to including the quote from the NYT article but didn’t want to overdo it. I am glad that you included it in your comment. My favorite album by Josh Ritter is “The Animal Years” from 2006. If you want to see how a degree in “American History through Narrative Folk Music” can actually be applied, I highly recommend “Thin Blue Flame” and “Girl in the War”. Both songs address the Iraq War, and the theological implications are not trivial!